Do you have crooked teeth? Misaligned pearly whites can put a damper on your confidence and may even jeopardize your oral health. Fortunately, there are multiple orthodontic treatments that have the power to straighten out your smile, thereby improving your appearance and perhaps even preventing tooth decay, chipped teeth, and other serious dental problems. Invisalign® in Enfield is a popular way to reposition teeth because of the many practical benefits it offers. Let’s take a moment to consider some key facts about these clear braces. Your teeth can move slightly because they’re attached to your jaw via ligaments. Both traditional braces and Invisalign® take advantage of your teeth’ natural mobility to reposition them over time. With enough gentle, sustained pressure, it is possible for your teeth to gradually move into their proper places. While the basic principle behind Invisalign® and metal braces is the same, there are differences in the way that treatment proceeds. For regular braces to do their job, your orthodontist has to tighten them periodically. With Invisalign®, your dentist in Enfield provides you with a set of clear thermoplastic aligners. You wear each aligner for 20 to 22 hours each day, and you switch to a new one about every two weeks. Regular dental visits are still important so a professional can keep an eye on your teeth’s progress. Traditional braces come with a laundry list of dietary restrictions, but Invisalign® doesn’t have that issue. Because the aligners are removable, you can eat and drink pretty much anything. The average treatment time with Invisalign® is about 12 months, making it faster than traditional metal braces. You may start to notice a difference in the way your teeth look after just a couple of months. One of the big complaints that people have about metal braces is that the brackets and wires can irritate the gums and other soft tissues in the mouth. Many people have commented on how comfortable Invisalign® is. Invisalign® makes it easier to maintain a clean mouth since you don’t have to navigate around a metal framework when you’re brushing and flossing. Invisalign® is suitable for most cases of malocclusion (bad bite) and misalignment. Many insurance plans are willing to help cover the cost of Invisalign®. 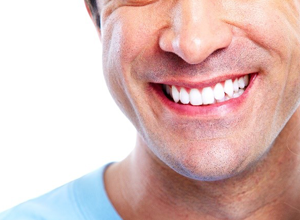 Embarking on your journey to a straighter smile begins with a visit to your cosmetic dentist in Enfield. At Four Town Dental, we’re proud to offer Invisalign®, and our in-house dental experts will be happy to chat with you about this treatment. You may even get to see a digital preview of what your teeth will look like after Invisalign® finishes its job! Crooked teeth making you cringe? Invisalign® might be exactly what you need to attain a healthier, more attractive smile.